• Cellulose insulation thermally and acoustically outperforms fibreglass and spray-foam products. • It doesn’t break down over time; fiberglass has been shown to gradually lose its structure. • It maintains a higher value of insulating quality (R-value) than the same volume of any other insulation. • Due to being blown into place, it fills in the irregular cavities of your home and prevents air infiltration and convection. • Its relative density makes it better than all other insulators at soundproofing a home from outdoor noise. • The Weathershield formula is proven to resist and contain the growth of mould and mildew. • The formula also helps our product repel mice and other vermin. • Properly applied, it prevents ice damming. • It meets all local and federal Canadian building code requirements. Weathershield is to be installed in accordance with the General Installation Guidelines for Weathershield Insulation. Weathershield requires no specific maintenance. For attic installations, it is recommended that the building owner periodically inspect the attic to ensure that access traffic has not displaced insulation, disturbed ventilation or permitted insulation to contact heat sources. We warrant Weathershield to meet published specifications provided it is properly installed. The applicator must warrant the particular installation. 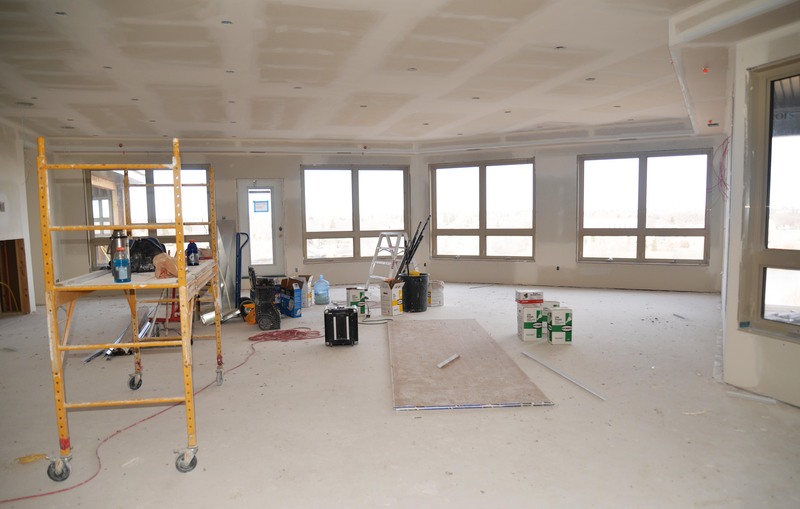 When installing, you have two typical options: installing it yourself or hiring a contractor. For advice on both, please visit the Contact Us page. Weathershield is relatively light and easy to handle — it can simply be added over top of existing insulation. You can do it yourself or employ the services of a professional. It is best applied with a blowing machine but can be hand-poured with a rake in small applications. Machine application is usually recommended for maximum efficiency. 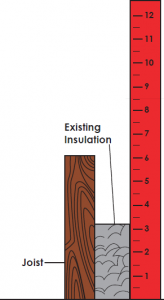 Measure the thickness of your present insulation and use the R-value chart below to determine how much insulation you must add in order to have R-40. 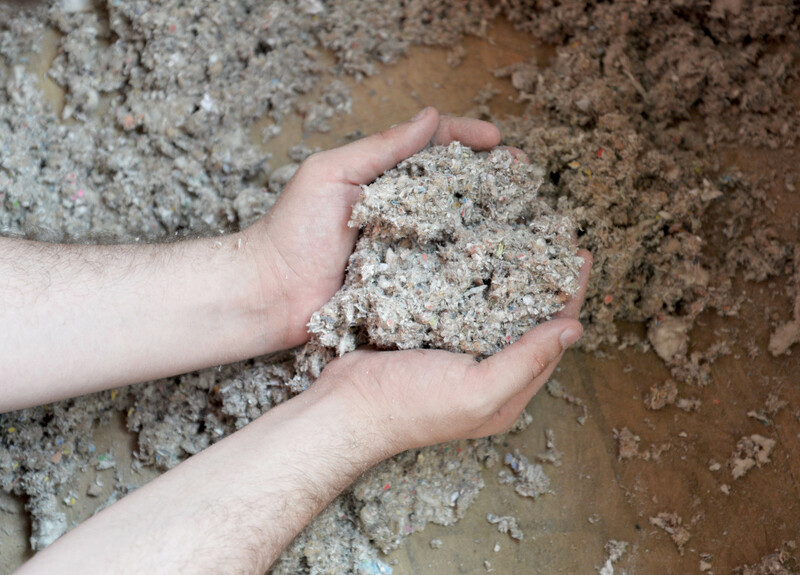 If your attic has 3″ of wood shavings, your present R-value is only about 6.9. 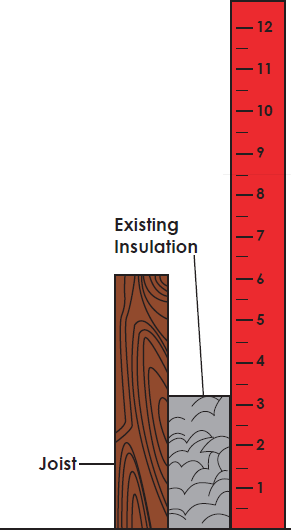 To achieve R-40, you would need about R-33 (about 9″ of Weathershield) to be added.